Harris Constellation microwave radios have been providing point-to-point support for more than 15 years. Reduce your costs through flexible modulation and service channels that support voice and data for system configuration, alarm notification and problem diagnosis. The Harris Constellation is a scalable digital radio platform that can support low, medium and high-capacity units in the 6, 7, 8, 10 and 11 GHz frequency bands. Harris Constellation options include terminal and repeater configurations, with shareable equipment to help boost network capabilities. 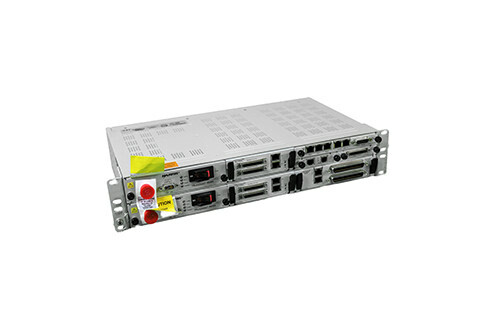 The high-capacity used Harris Constellation radio equipment is not available in a repeater configuration, though its low/medium capacity radio offers repeater options in 8, 16 and 28* DS1 deployments. A core benefit of the used Harris Constellation equipment offered by Worldwide Supply is that it offers a high system gain option that can significantly lower costs by reducing the need for additional antennas. You’ll save equipment and space rental costs while securing a greater path reliability compared to many other systems on the market. The current Harris Constellation interface is backwards compatible so you can deploy it on core or edge networks. Its 4xDS3 interface means you won’t need an additional radio or investment to expand your capacity — you get the boost you need within the same footprint. All existing Constellation radios support upgrades to a fourth DS3 with existing BNC connectors, allowing you to swap components in the field instead of replacing full units. Worldwide Supply provides a variety of refurbished Harris Constellation radio systems because we know your network needs growth, but your operations demand a balance in spend. Achieve both with a used Harris Constellation below.